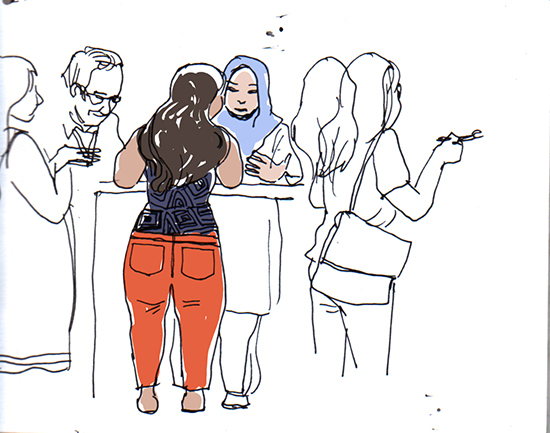 INF ] MEET UP ,SEP 18 AND 29 2018.
and meet again by 4:30pm for sharing our works and taking photos. 4시 30 분 다시 다같이 모인후 사진찍고 그림 공유하고 헤어짐. and meet again by 4:30 pm at the Octagonal Pavilion in the children's grand park for sharing our works and taking photos. 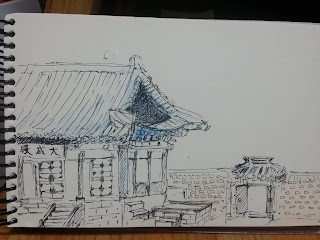 4시 30분 코끼리우사 건너편 팔각정(전에 모였던 곳)에서 다시 모임. 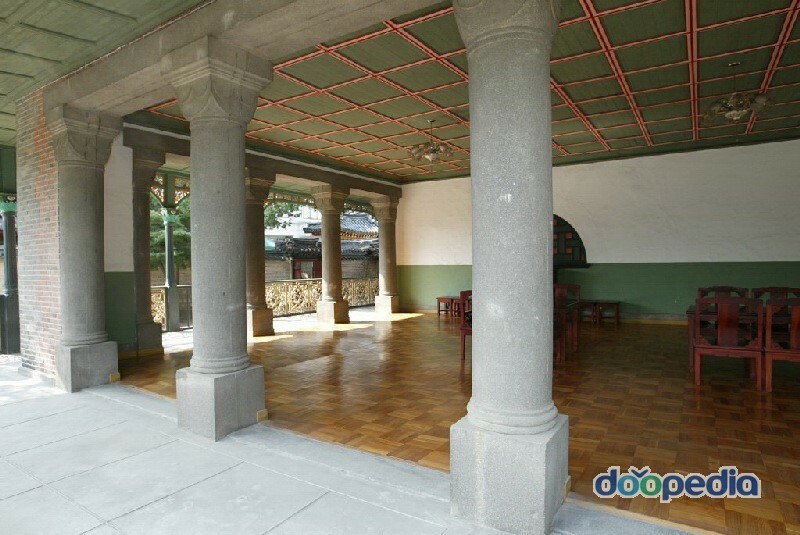 9월은 스케치하기 좋은 가을이라 정기모임 2회를 갖도록 하겠습니다. 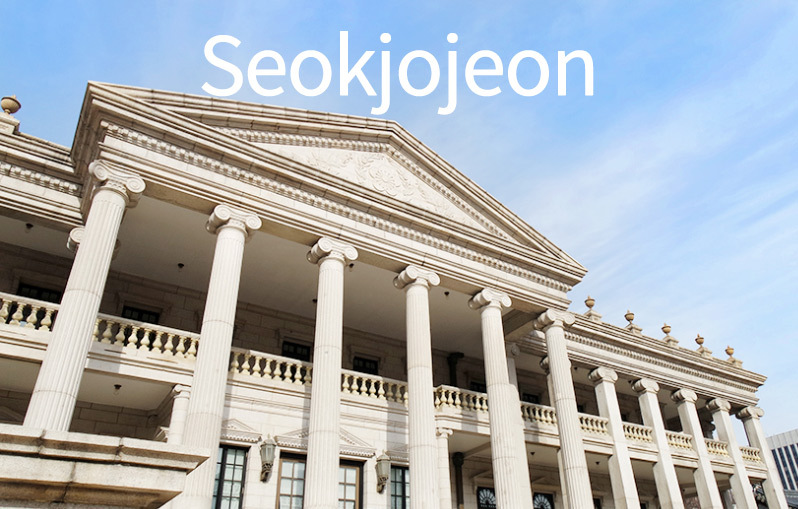 덕수궁 서쪽에 있던 선원전(璿源殿)터를 관통하는 도로를 만들면서 길이 되었다고 합니다. 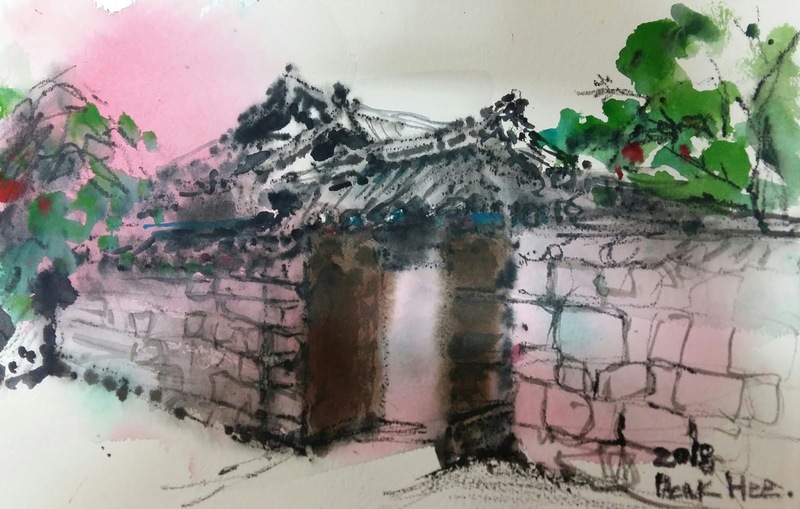 가슴아픈 우리나라 역사로 길이 되어버린 궁의 일부입니다. 덕수궁도 경복궁과 마찬가지로 많은 부분이 유실되고 일부만 남아있는 상태라고 합니다. 경복궁은 세계적으로 보기 드문 대규모의 궁이었으나 대부분 파괴되고 재건된것은 30%도 안되는 일부라고 하니 상상으로 과거의 모습을 떠올리며 스케치해보는 것도 좋을 것 같습니다. 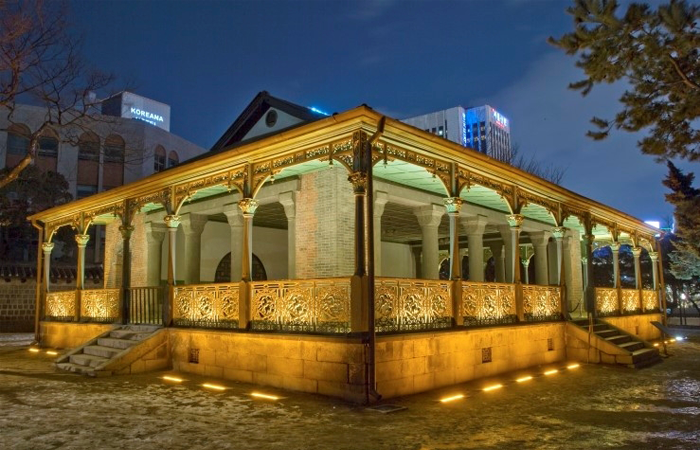 덕수궁안 커피숖에 가시면 '양탕국'을 마셔보길 권합니다. 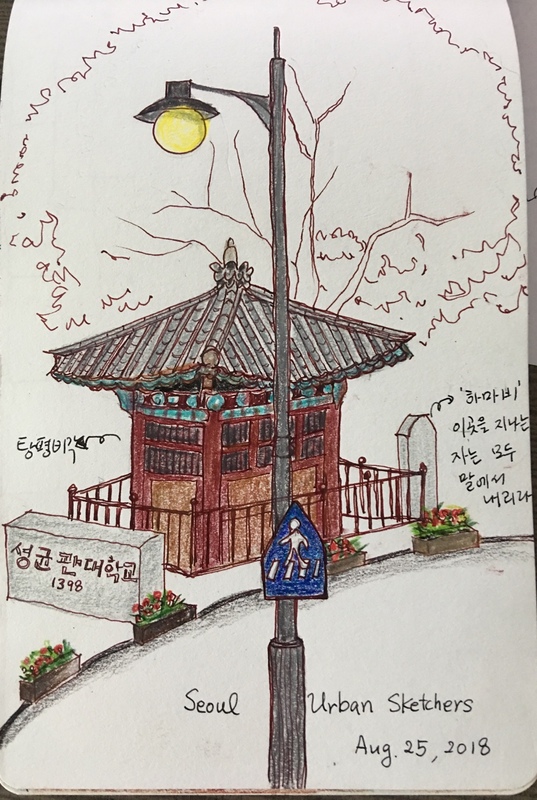 조선시대에는 커피를 서양에서 들여온 탕국이라 하여 '양탕국'이라 불렀다고 합니다. 커피숖에서 연못정원을 바라보며 스케치해도 좋겠습니다. 덕수궁안에는 정관헌이라는 서양식 이국적인 건물이 있습니다. 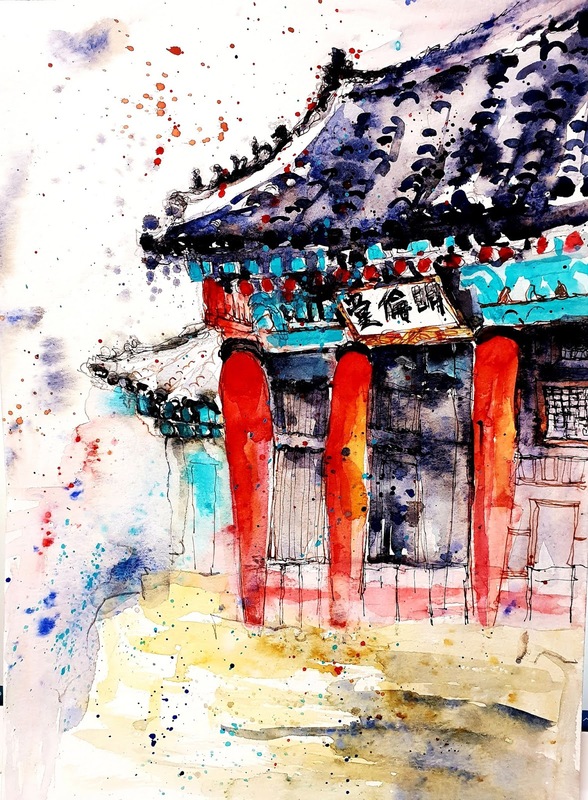 터키블루색 기둥과 붉은 벽돌의 화려한 색감과 금색장식이 있는 로마네스크 양식 건축물입니다. 그려보고 싶다고 늘 마음으로는 생각하고 있었지만 저는 아직 스케치해 본 적이 없습니다. 이번에 참가하시는 분들은 그려보시길 권합니다. 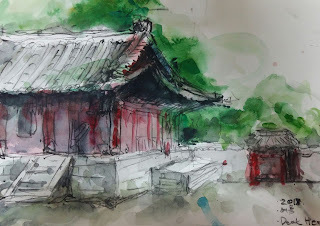 마저 완성하지 못해서 업로드하지 못했네요..
싱가포르에서 오랜만에 실컷 그림을 그렸습니다. 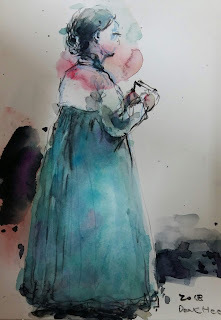 서울에서 너무 더운 여름을 보내서인지, 싱가포르의 더위가 견딜만 했어요. 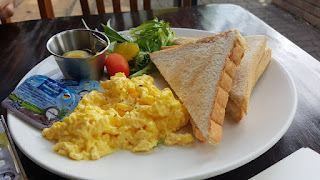 인공 정원과 도심의 고층 건물이 어우러져 멋있는 풍경을 실컷 구경할 수 있었습니다. 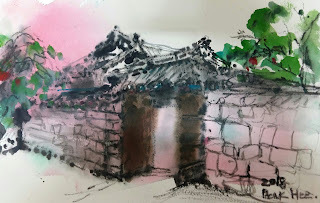 그리고 깨끗한 거리, 지속적으로 관리되는 가로수들과 정원들이 인상적인 곳이었습니다. 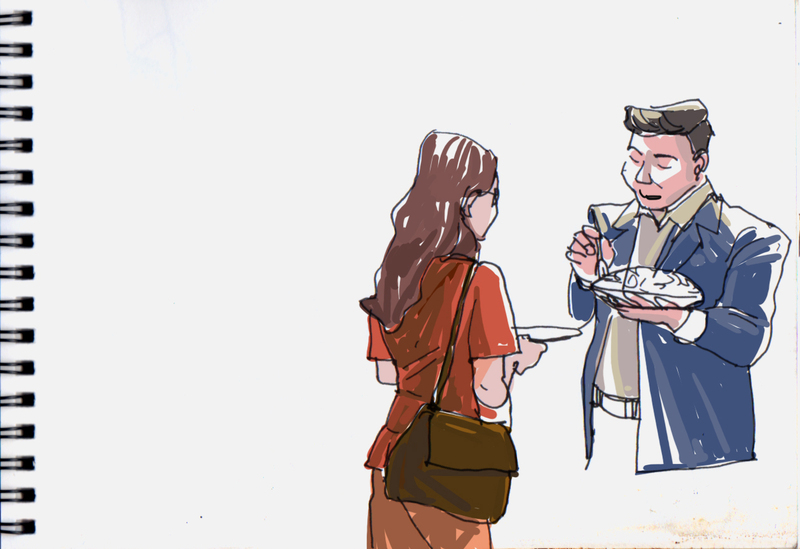 다음번의 모임에는 시간이 허락하는대로 꼭 참여하겠습니다. 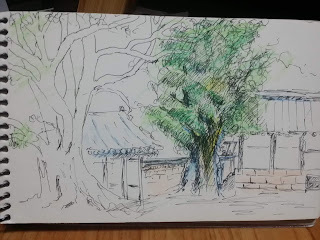 그림에 대한 열정으로 모인 사람들. 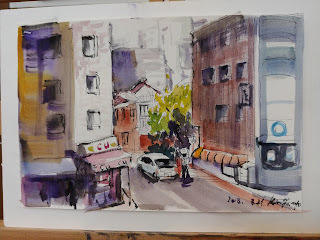 여러분과 함께한 어반 스케치 즐거웠습니다. 그동안 뵙고 싶었던 이용환 선생님과 유병화 선생님 뵙게 되어 반가웠습니다. 자주 여려분과 함께 서울 어반스케치에 나가겠습니다. 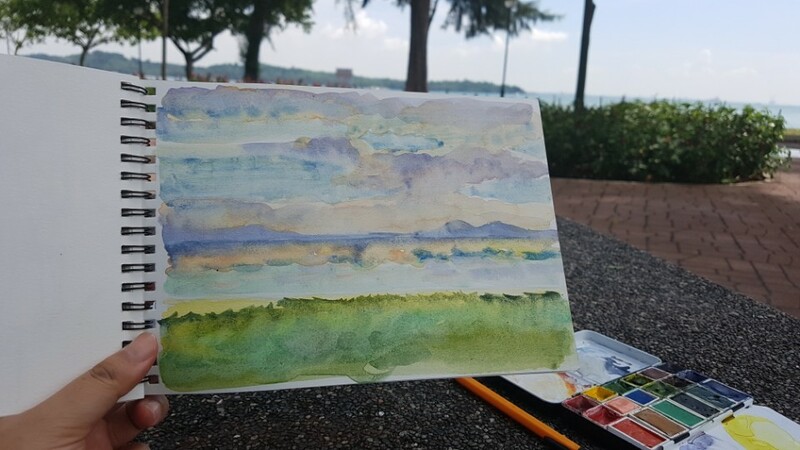 After the heat wave season is over, it's nice weather for sketching outdoors. 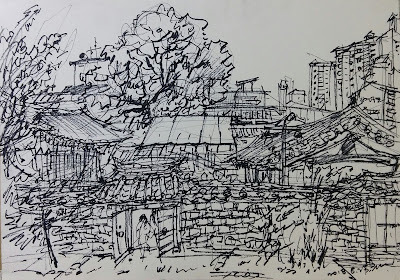 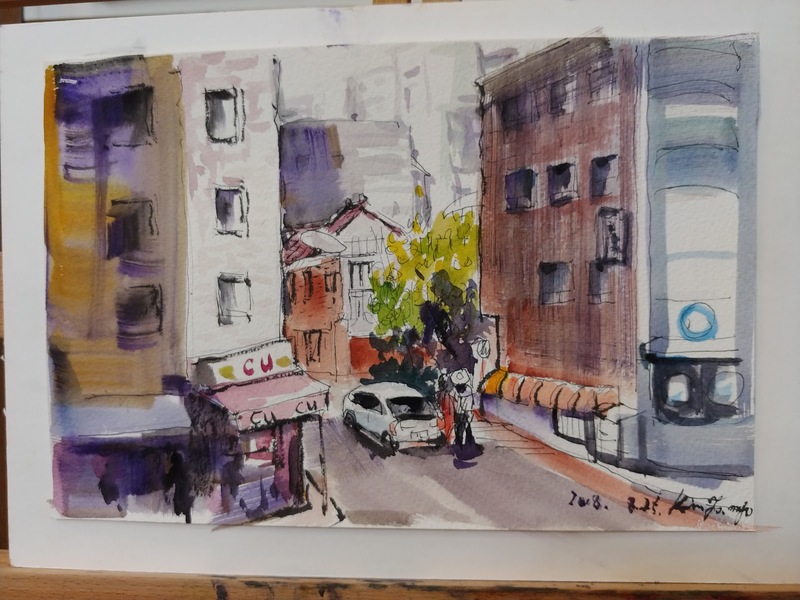 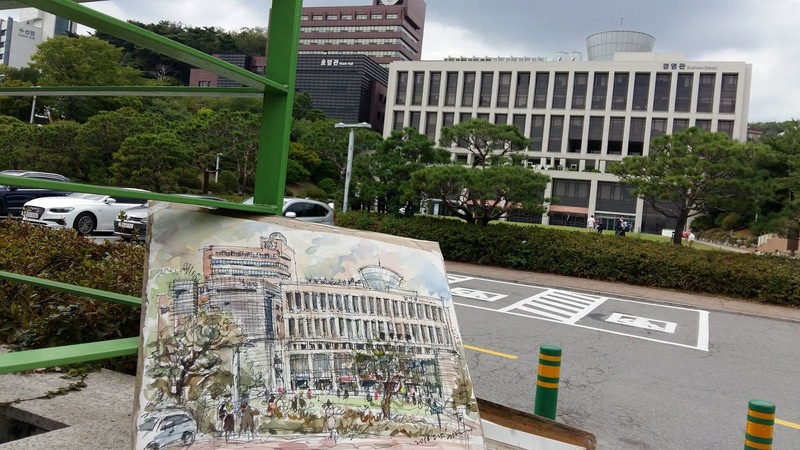 Last Saturday, we Seoul urban sketchers met at the entrance of the Sungkyunkwan University. 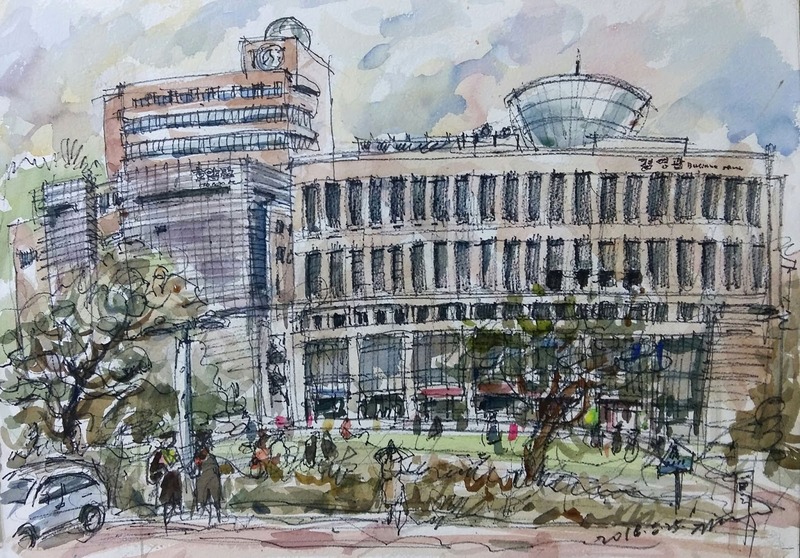 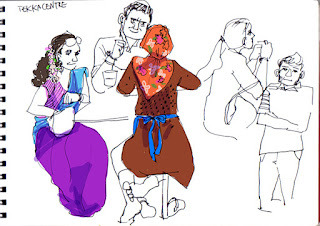 On arriving at the meeting place, I started sketching the lively street scene around the entrance of the university. 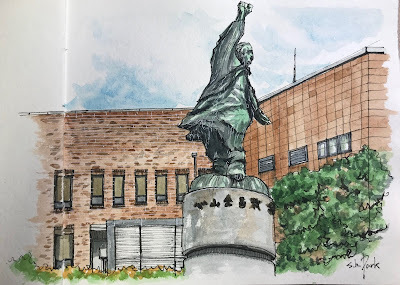 Several times I visited the familiar campus in downtown near my home from my childhood. 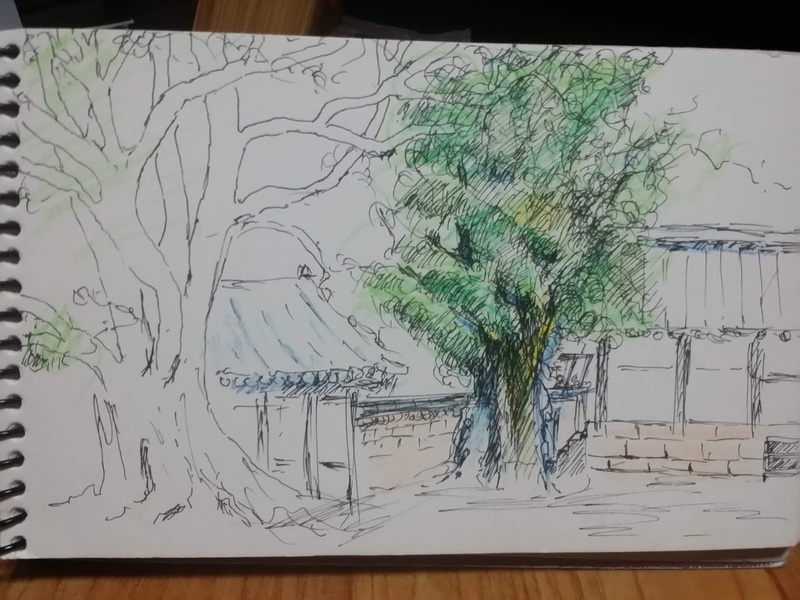 What I'm impressed with is the big gingko trees of nearly 500 years old in front of Myeongryundang(명륜당) inside the Munmyo(문묘). 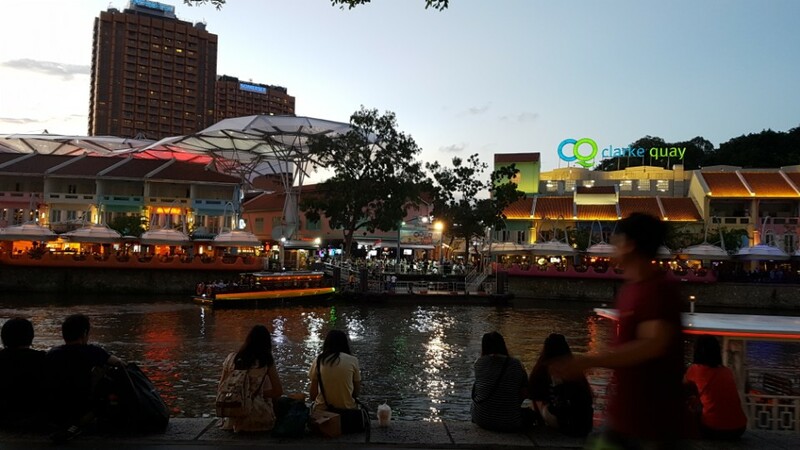 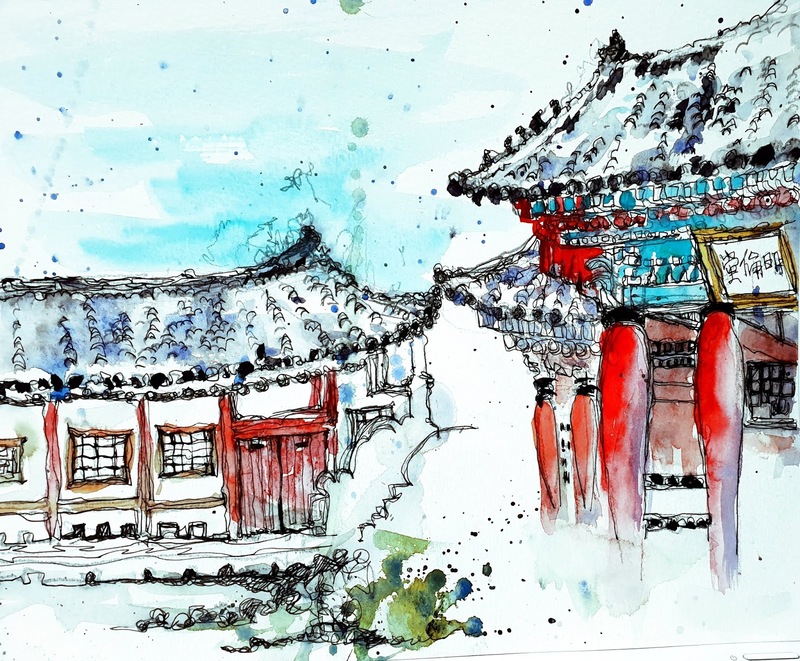 Especially, some cultural properties like the above Korean traditional buildings and newly built modern campus buildings seemed to be harmonized with the history of Seoul. 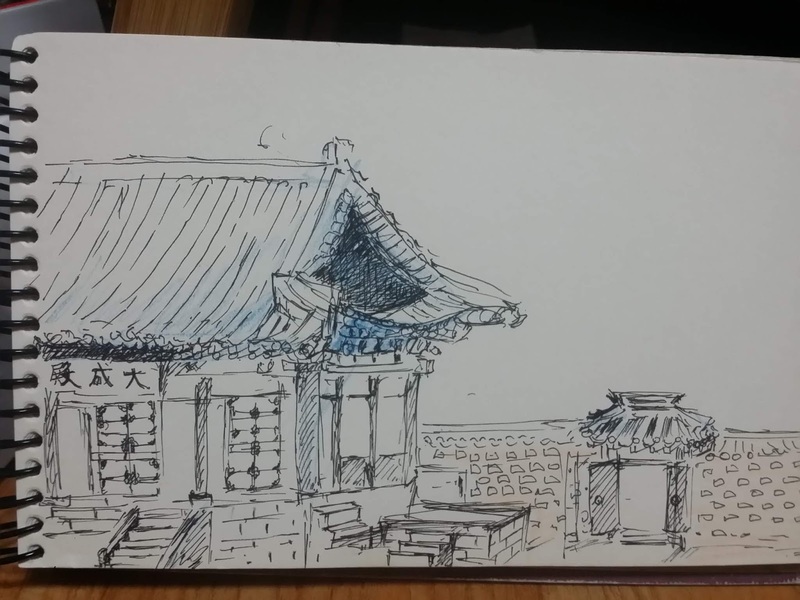 I sketched various scenes on the spot here and there around the beautiful campus remembering past history of Seoul. 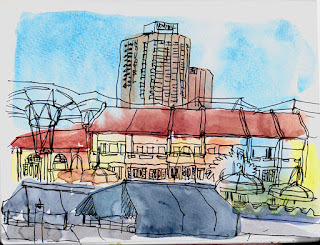 The old villages located closed the historic campus is one of the most favorite subjects for urban sketchers. 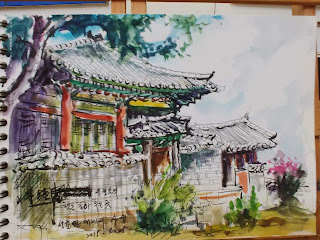 세월따라 변해가는 서울의 모습을 반영해 갑니다. 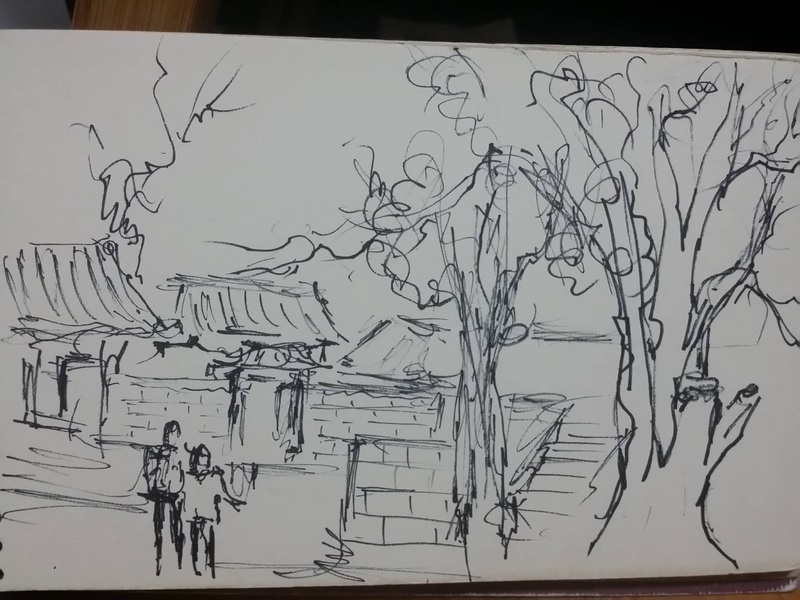 These are sketches from Sungkyunkwan and the inside campus of Sungkyunkwan University that I drew on last Saturday. The perfect weather and good places made me very happy. 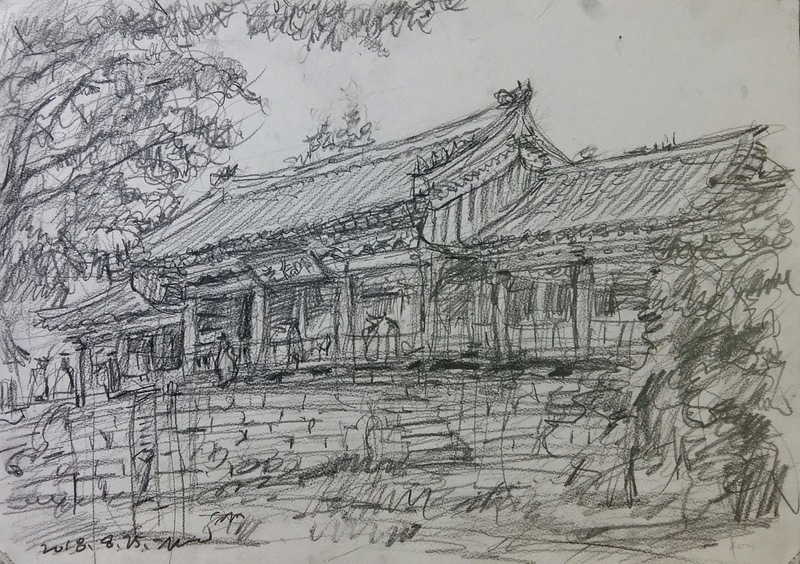 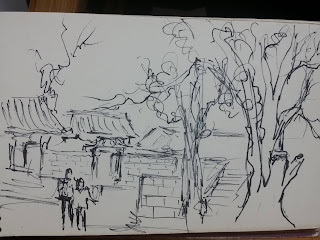 In the morning, I sat in the shade of a ginkgo tree in front of Myeongnyundang and drew a view. so I found a statue of 'Simsan Kim Chang-sook' at the back of the central library and drew the statue and its surroundings. 성균관과 성균관대 안쪽 캠퍼스에서 스케치한 그림들 입니다. 날씨가 너무 좋았고, 그리는 장소도 무척 멋져서 행복했던 시간이었습니다. 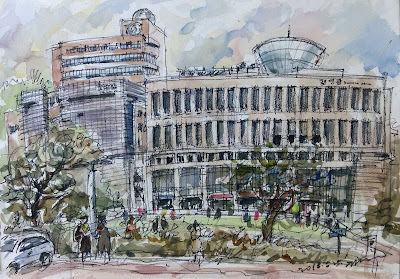 오전에는 명륜당 앞 은행나무 그늘에 앉아서 보이는 풍경을 그려보았습니다. 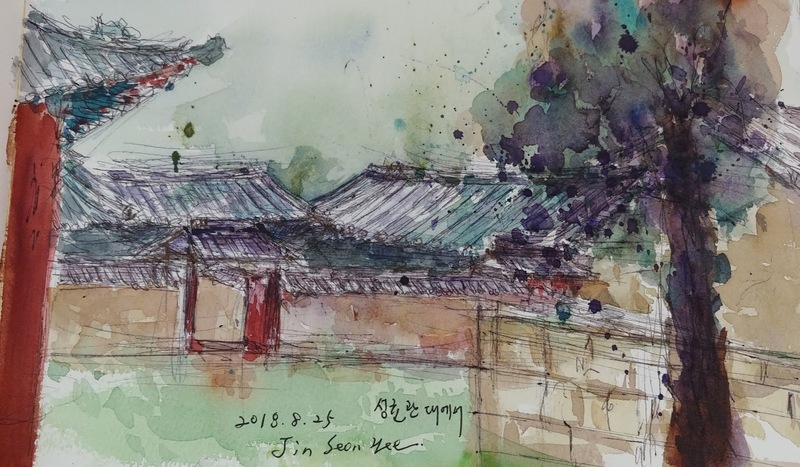 동상과 그 주변의 모습을 그려보았습니다. 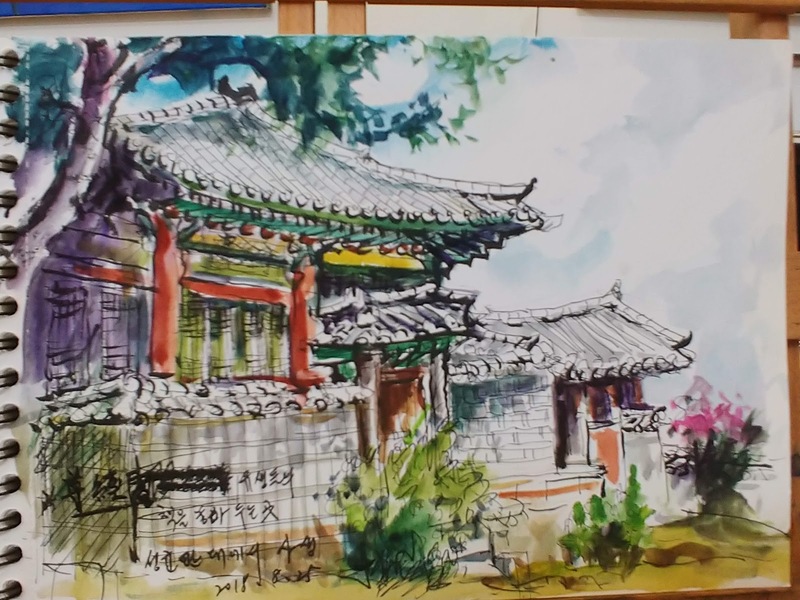 Drawing in Munmyo located in Sungkyunkwan Univ. 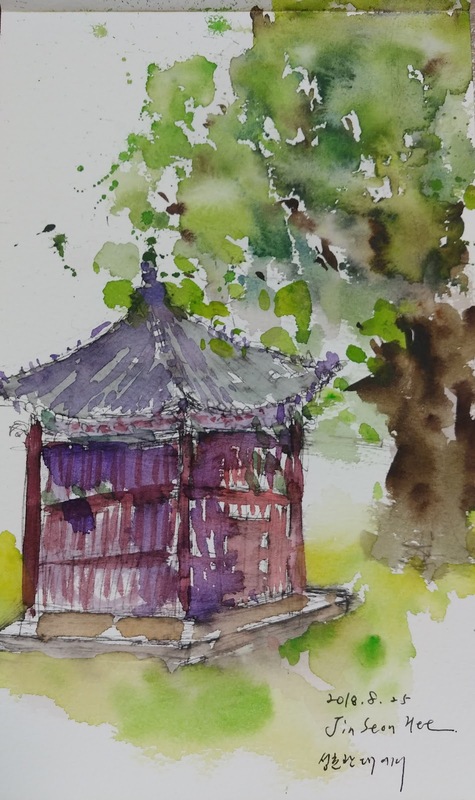 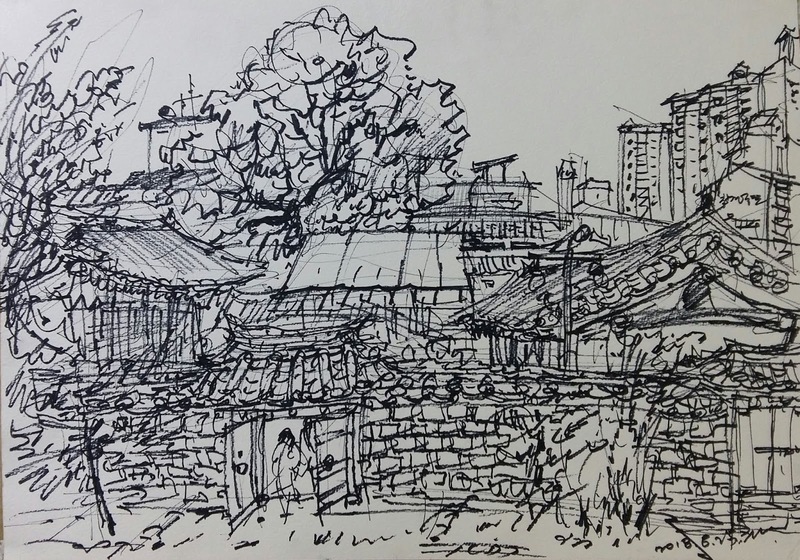 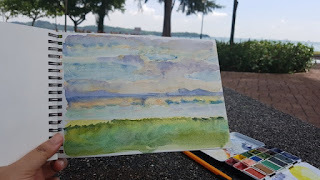 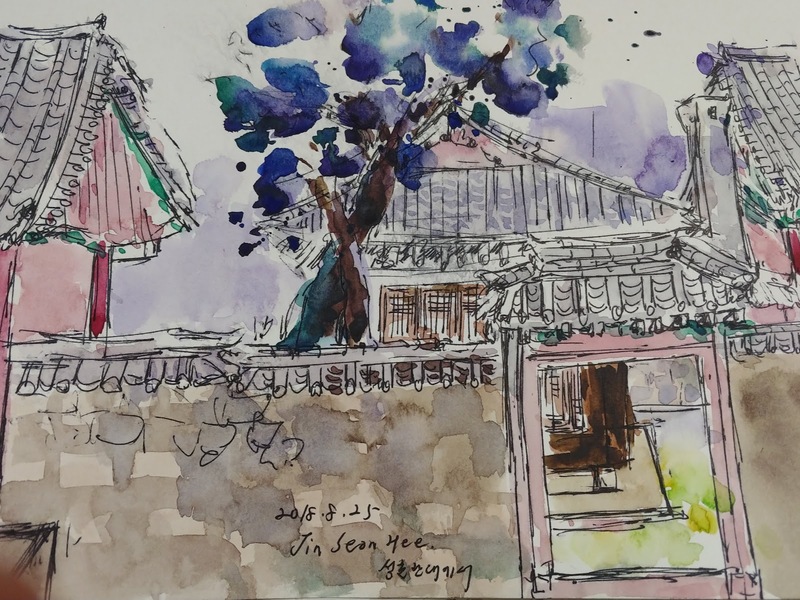 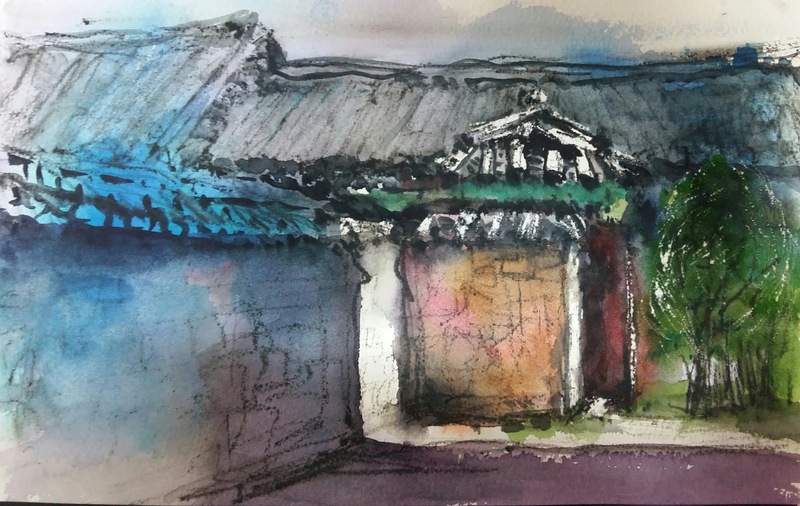 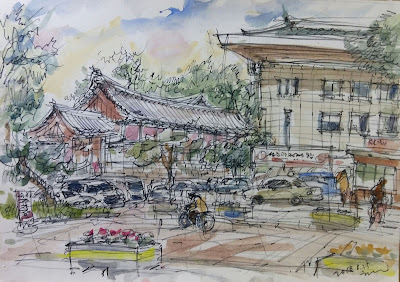 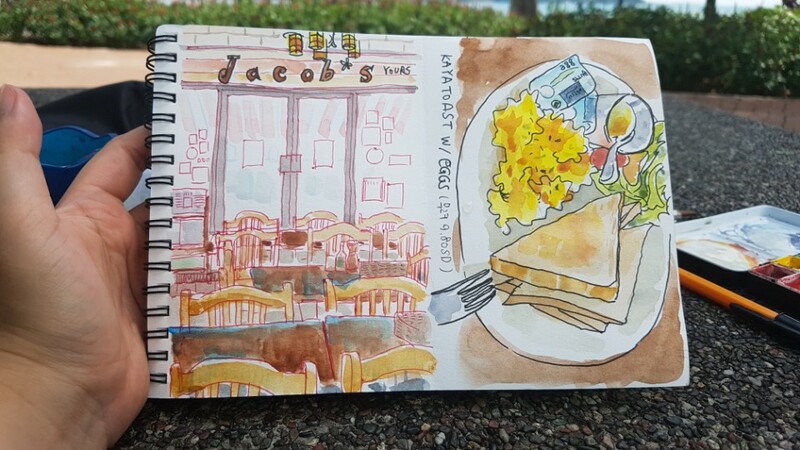 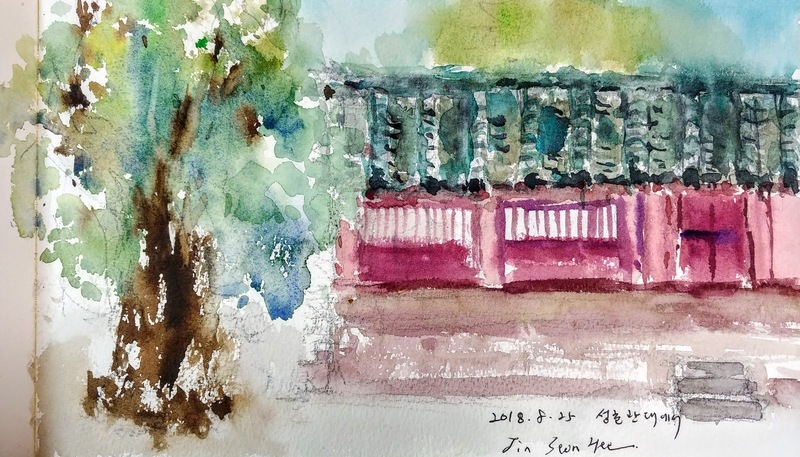 August meeting of Seoul Urban Sketchers was held in Seoul Munmyo which is located inside of Sungkunkwan University. 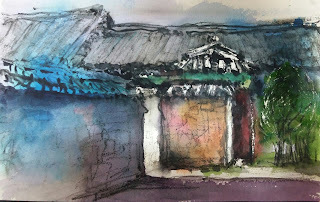 Sungkunkwan was the best educational institution in Choseon dynasty. 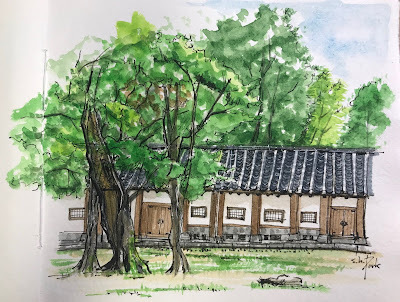 In the Seoul Munmyo, there are many buildings such as Daesungjeon, the place of serving Confucius and scholars, Myongryundang, the place where lecture took place, Dongjae and Seojae, dormitories for students. 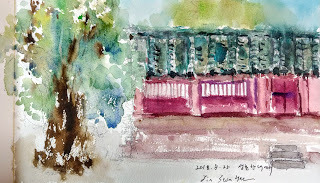 In addition, giant ginkgo tree that is more than 400years old is in Munmyo. 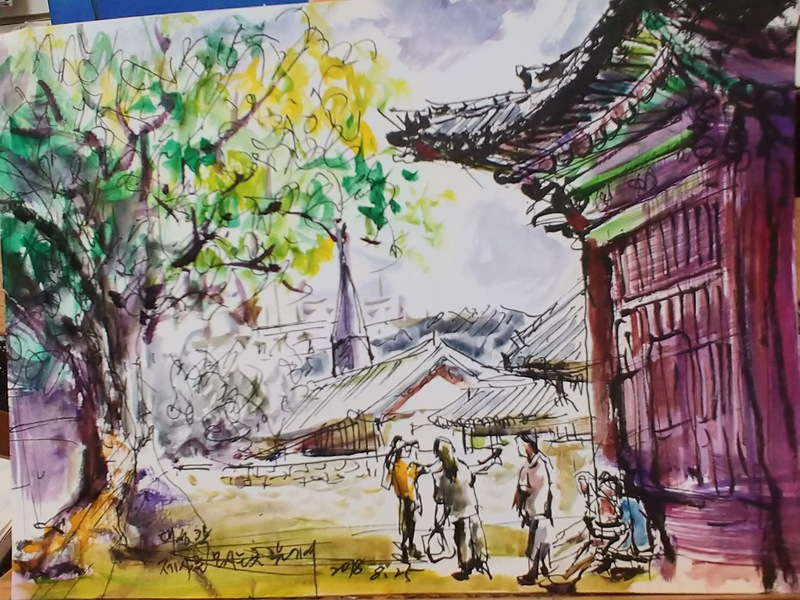 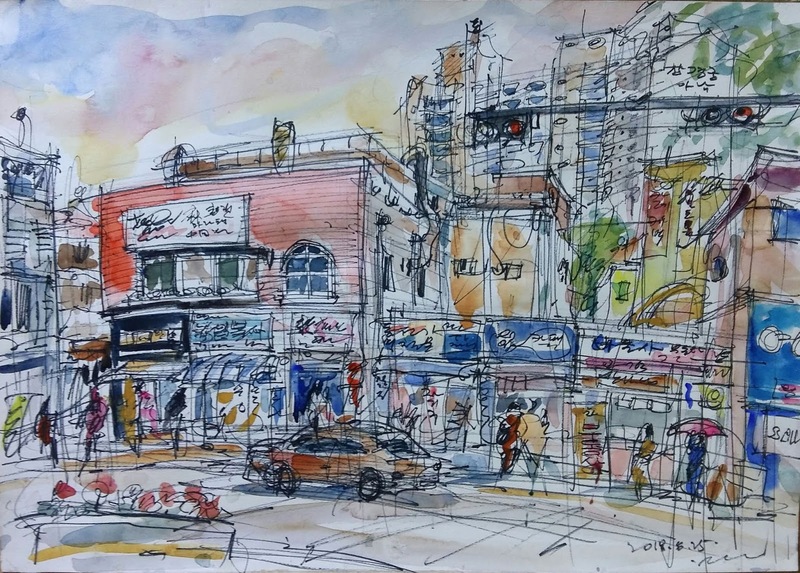 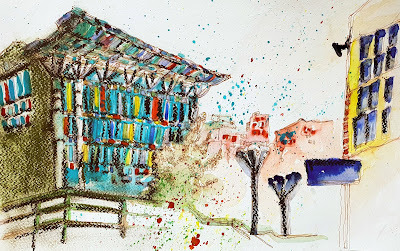 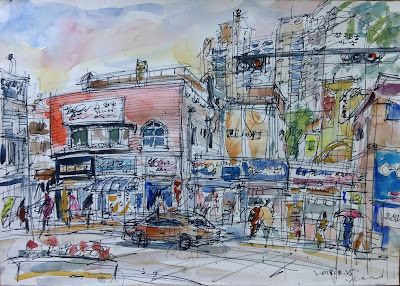 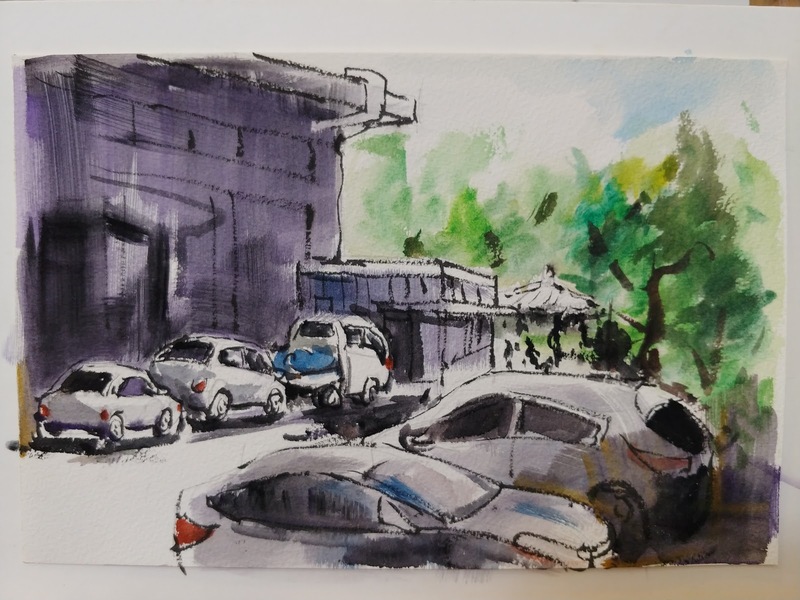 Many urban sketchers participated and painted various scenes in Munmyo in nice weather. 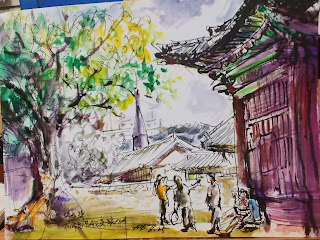 I personally think that I want to visit once again to see and feel the autumn color of the gingko tree in the fall. 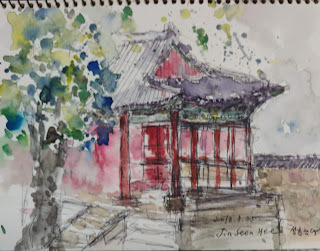 Tangpyeongbigak is a monument house built in front of Seoul Munmyo and this was built by King Young-Jo to protect the Tangpyeongbi from political strife. 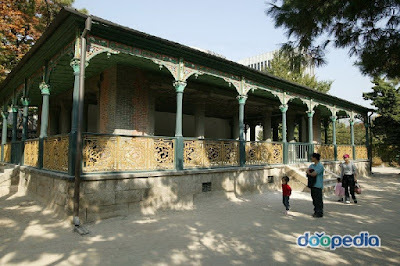 Hamabi is a monument located in front of the Munmyo, it means that everybody has to come down from the horse and be respectful. Myeongnyundang lecture hall in Sungkyunkwan Uni. 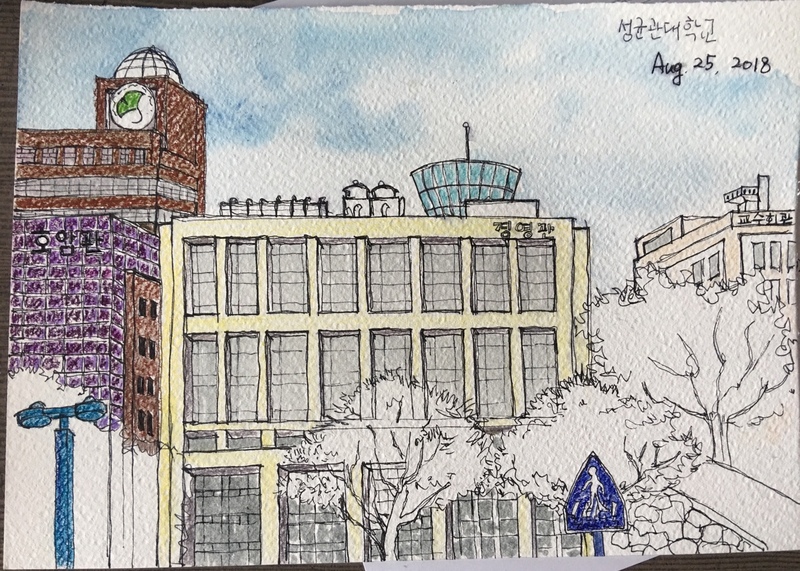 I drew some traditional buildings that remainded so far between modern buildings of Sungkyunkwan University in Seoul. 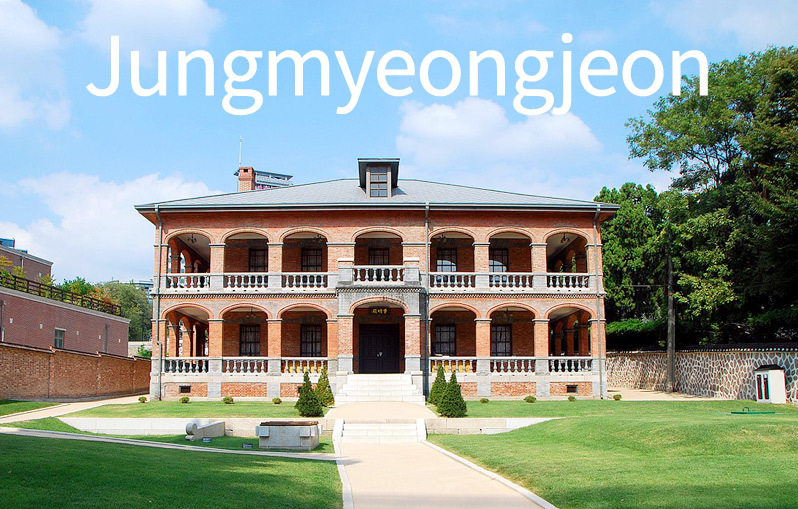 Sungkyunkwan is the first and higher educational institution of the Joseon dynasty in Korean history . 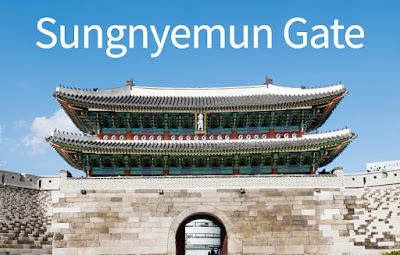 It has two names 'Sungkyunkwan' and 'Munmyo'. 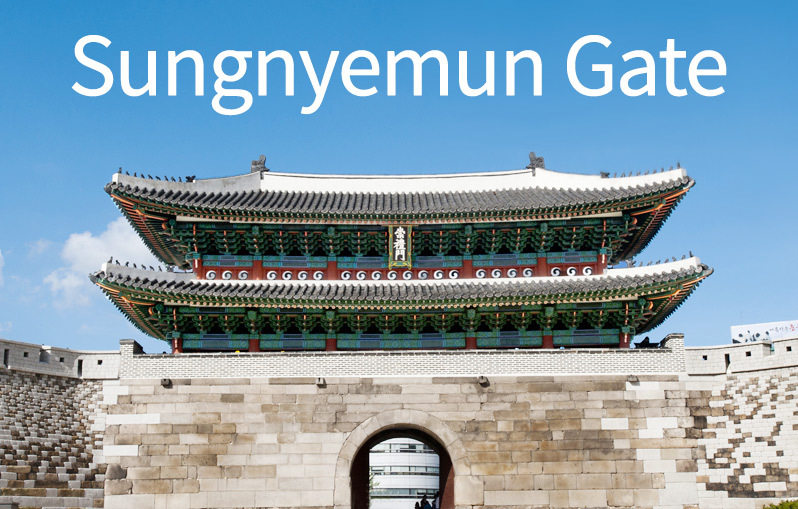 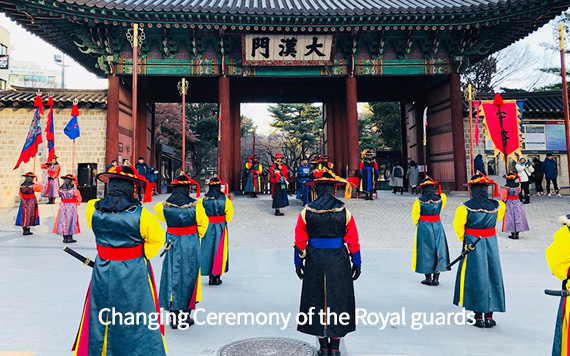 It was called by Sungkyunkwan as the academy of Joseon dynasty and was called by Munmyo in the same time as the Confucion shrine for Confucius. The Joseon Dynasty was maintained for 518 years from 1392~1910. Traditional buildings called Munmyo Dongjae in Sungkyunkwan Uni. 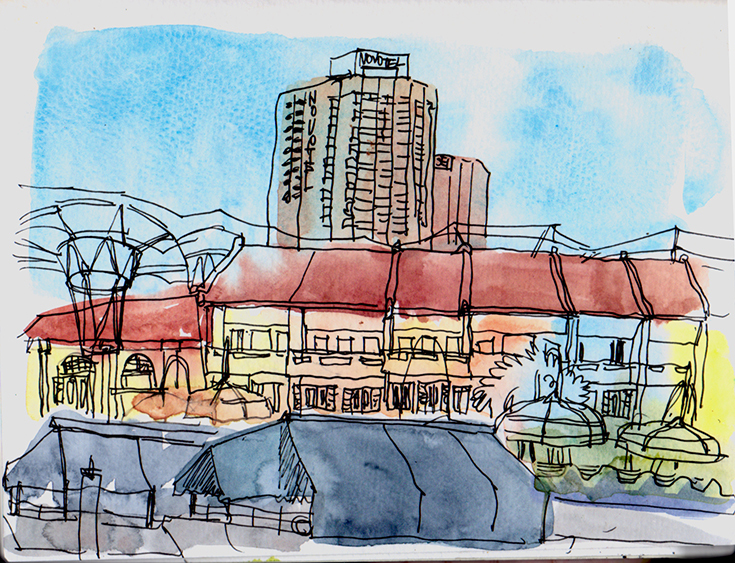 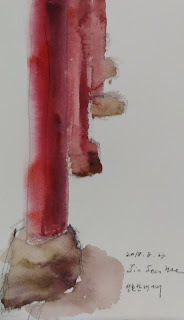 When it comes to urban sketches I almost use watercolors but I'm always struggling with them to deal with. Back in the days I usually used to draw with oil paints which is my best materials ever. 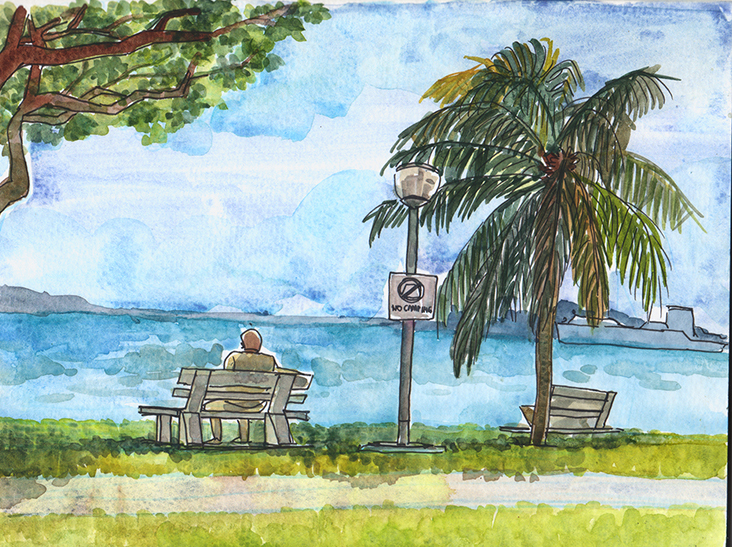 I really hope I'm getting used to handle watercolors. 그리고 성균관대학교 입구에 탕평비가 있다.